For some, HubSpot is a major catalyst for growth. For others, it's a huge waste of money. The tips in this guide can make all the difference. Follow the 10 steps in this guide and you'll have everything you need to make onboarding a breeze. This guide is packed with actionable tips to help you hit the ground running, including 3 quick-win strategies. 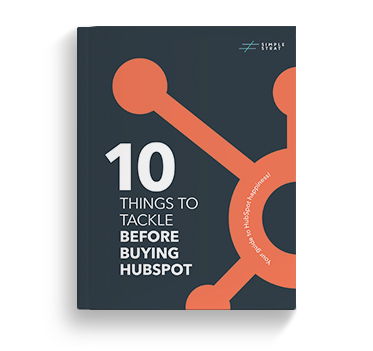 HubSpot is one of the best tools, but it's not necessarily the cheapest. Learn how to make every penny of your investment count. As a certified HubSpot Agency Partner, we've had the opportunity to peak behind the curtain for many companies using HubSpot. At first, we were a little puzzled. We saw some companies that realized tremendous growth once they brought HubSpot on board. But we also saw companies that were struggling, falling far short of the success you see in HubSpot's case studies. These companies felt like they were just dumping the money they spent on HubSpot down the drain. After carefully looking at the difference between these companies and helping a variety of organizations implement HubSpot, we discovered the main difference between success and HubSpot failure. In most cases, it all depended on what the company did BEFORE buying HubSpot. Those that had the right foundation in place were able to hit the ground running with their powerful new tool, generating results almost right away. But those that waited until after buying HubSpot to build their foundation found themselves spinning their wheels and wasting cash. A year later, these companies look up and realize they're nowhere close to taking full advantage of everything HubSpot has to offer. When companies add HubSpot, they often find opportunities to make changes to their website that will improve their ability to generate leads. Making these changes in advance can drastically decrease the time it takes to fully implement and see results from HubSpot. There are almost always a few things you can do write after implementing a tool as powerful as HubSpot that will generate almost immediate revenue. Identify these opportunities in advance enables you to create a strategy that you can use HubSpot to execute right away. Our guide also includes three examples of low-hanging opportunities that might work for you. Simple Strat is a certified HubSpot Agency Partner. This means that, in addition to using HubSpot to power our own marketing, we're trained and authorized to sell HubSpot software and provide HubSpot marketing services to HubSpot customers. We are huge fans of the software, but we know that HubSpot isn't the right tool for every company. HubSpot pricing can be a substantial investment, so we work hard to help companies evaluate whether HubSpot is right for them. If it is, we love helping them establish the foundation they need to get the best ROI possible from their HubSpot investment. 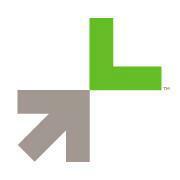 Click here to inquire about our HubSpot services. The Simple Strat team is amazing to work with! We couldn’t be happier with the branding and strategies they developed for us. We love all of the deliverables, the process was quick, and their team was incredibly responsive.